On August 31, Instagram announced a new feature called “Zoom”. Earlier in August they also announced a new feature called “stories”. These are some pretty massive updates – people have been waiting for Zoom forever, and Instagram killed Vine with their inclusion of short videos. Are they going to kill Snapchat now as well? First, we’ll start with the new Zoom feature. It does exactly as you might imagine – you’re now able to zoom in on photos. Many Instagram users (myself included) have been frustrated with the lack of such a simple and wide-spread feature, and Instagram finally caught up with the times. Next, the more exciting update – Stories. The Instagram Stories update is an almost exact replica of Snapchat. Basically, you’re now able to take quick snapshots and up to 10-second videos and post them to your Instagram story, where they will stay for up to 24 hours. The difference between a story and a regular photo or video upload? Users can’t like or comment, and they aren’t permanent unless you save them to your profile. You’re also not limited to how many you can post – which potentially means more customer engagement. Well, just upload your photos like normal. It works by the users simply pinching the screen to zoom in, just like you would in a mobile web browser. Just be sure to use only large, high-quality images. But you knew that already, right? Note: Instagram caps pictures at around 1080 pixels wide, so be sure to take full advantage and use every last pixel available to you. Otherwise, when users zoom in, your photo may become blurry. If you’re going to start using this feature, you need to know how it works, right? Here’s how to add your own photos and videos to your story, and view other people’s stories. Pro Tip: You’re able to select more than the default colors at the bottom. Press and hold on them to open a color selector. 4. When you’re ready, tap the checkmark icon to share your story! Your story will appear at the top of your friend’s feeds. You can also see it from your profile page by tapping your profile picture. Once it’s live, you can save your photos and videos by tapping the three dots and pressing save – they will save to your profile for anyone to view. Probably the most important part of Instagram stories for business is the analytics. Pro Tip: You can keep your stories private by going to your profile and selecting the “Settings” icon in the upper right. You can choose who can view your stories and reply to your messages. Now you know what they do and how to use them. As you know, Instagram is a great way to make some extra money for your business. So how can you use these new features to give your eCommerce store an edge? Some photos, like landscapes and beautiful beaches, might entice your viewers to use Zoom naturally to take in all the details. But how can you use Zoom to benefit your business? Businesses are using photo zoom to make big reveals, show off their hometowns, create contests, and connect with their followers. My first example, Primark, is an online clothing retailer. They made excellent use of the zoom feature by showcasing their latest product line. Their followers could zoom in on each item to see it up close. Reyka Vodka from Iceland used zoom to celebrate its countries famous landmarks. They created a miniature map of the island with images of the landmarks and one of its bottles of vodka. To get people to zoom in, they used the emoji and #instazoom. Pro Tip: Use these new features in combination with an Instagram contest to really make the most of them! If you’ve been following Snapchat at all, you’ve probably seen dozens of articles saying things like “Snapchat is the new big thing for marketers”. It’s gotten pretty big, pretty quickly. …if you can do it right. Like Snapchat, Instagram Stories isn’t very cut and dry. After all, it’s not built for businesses, it’s built for consumers. It should be used not to push promotions or talk about yourself more, but to engage with your customers and show them who you are behind the scenes. Not sure how to use Stories to its full potential? Here are four ways to make the most of this Instagram feature for your business. Being an eCommerce store, there are probably times when you’re about to launch a new product, right? Well, you can use stories to show teasers of your new stuff and build excitement for its launch. Your Instagram shouldn’t just promote your own things. It should also share inspirational moments and pictures to bring your viewers closer to your brand. AFAR media, a travel media brand, uses their Instagram to showcase beautiful, inspirational travel photos. Most business interactions are seemingly “perfect”, in the sense that they only allow the best pictures, videos, and status updates to be published. Stories gives you a way to show your fans the imperfect reality that goes into running a small business. Here’s an example by Mercedes-Benz. Of course, this is far more “perfect” than the typical small business would be shooting, but it gives you an idea of what I mean. 4. Have Fun and Be Engaging! Social media isn’t about marketing. It’s about real people connecting with other real people, and getting them to keep coming back. The whole point is to be social – so why not have some fun with it? Note: This is also true for those of you marketing to businesses. Instagram is great for B2B companies who want to engage the people within those companies. 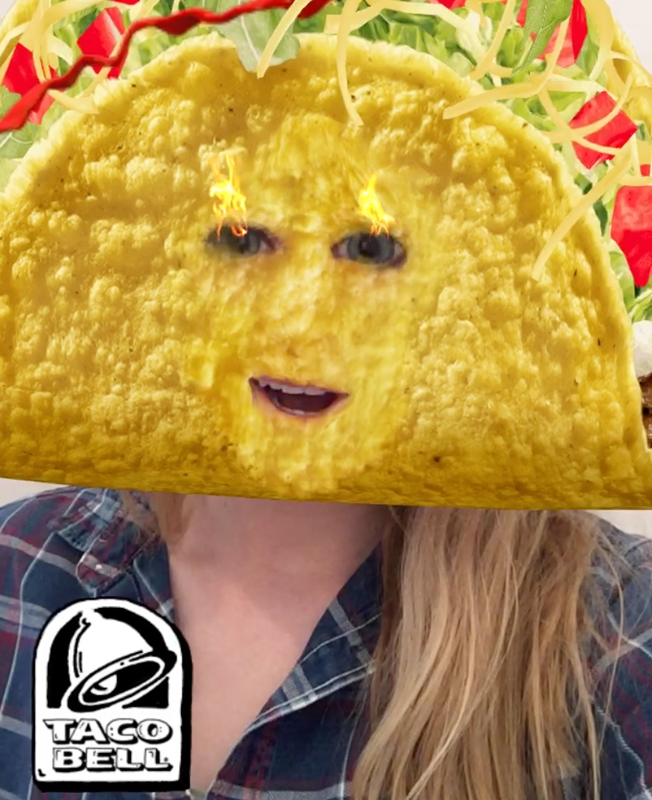 Taco Bell has been known to have a lot of fun with their social media accounts. In particular, they love Snapchat. As you know, Instagram Stories is very similar to Snapchat, so take a page from their book and have fun with your stories! At the end of the day, you’re still a business trying to make money. There’s no harm in a little self-promotion mixed in with all the other tactics. Starbucks is known for their self-promoting Snapchat stories. Maybe it’s because their followers really love coffee, but it works for them. It can work for you too, as long as you do it in a fun and engaging way. How are you using Instagram’s new features? Now you can add these features to your Instagram tool list. Have you found your viewers to engage more with a particular kind of post or video? Let me know about it in the comments!